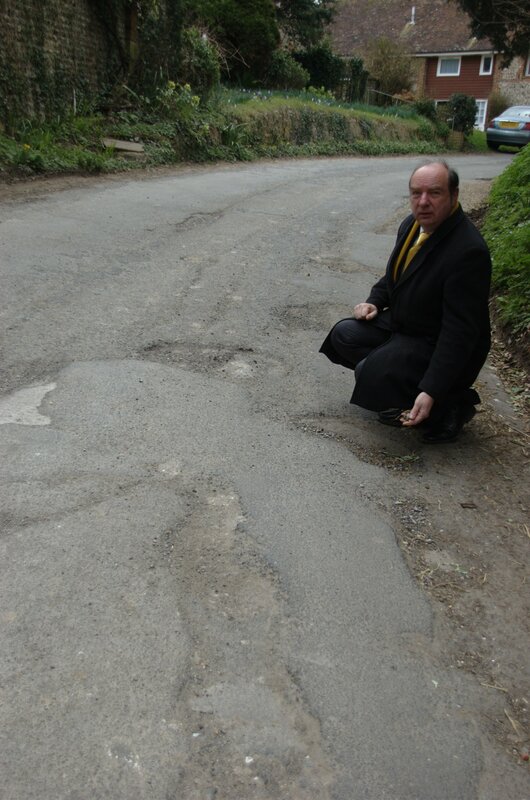 Norman Baker MP is demanding a review of the operational practices ESCC is following to repair potholes across the county. The Lib Dem MP says East Sussex County Council are “wasting money” having received complaints from constituents across the area about the council’s poor performance over pothole repairs, and is writing to Transport Director Rupert Clubb to ask for a root and branch review of operational practices. Reports of ESCC visiting sites multiple times in three years, putting down lots of chalk marks but ultimately no works completed. In Bishopstone, for example, holes have been marked 8 times in 3 years without any repairs having been carried out. Repairing a marked pothole but leaving surrounding potholes because they are not on the job sheet, resulting in repeat visits, as reported by Seaford residents. Reporting of potholes via the councils “fix my street” site on their website but having been logged no works have been completed up 2 months later, such as Gilda Crescent in Polegate. Potholes reappearing in the same place shortly after thy have been “mended”. Norman said: “To repeatedly go out to a site and do nothing, like in Bishopstone, or a jobs worth attitude to repair one pot hole but not one next to it is just a waste of time and money.